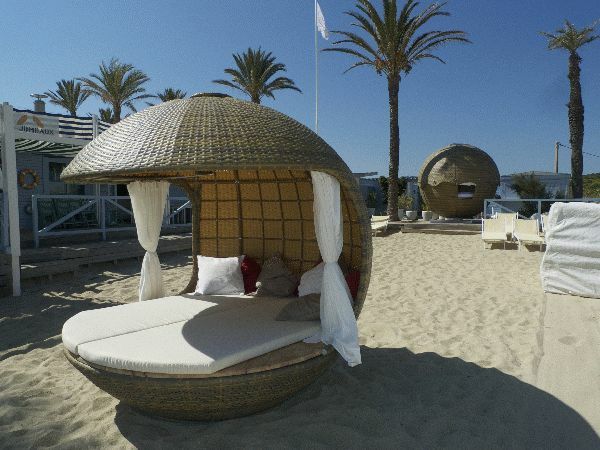 The Cocoon Zen was created to replace the canopy beds on the beaches, parks and swimming pools. 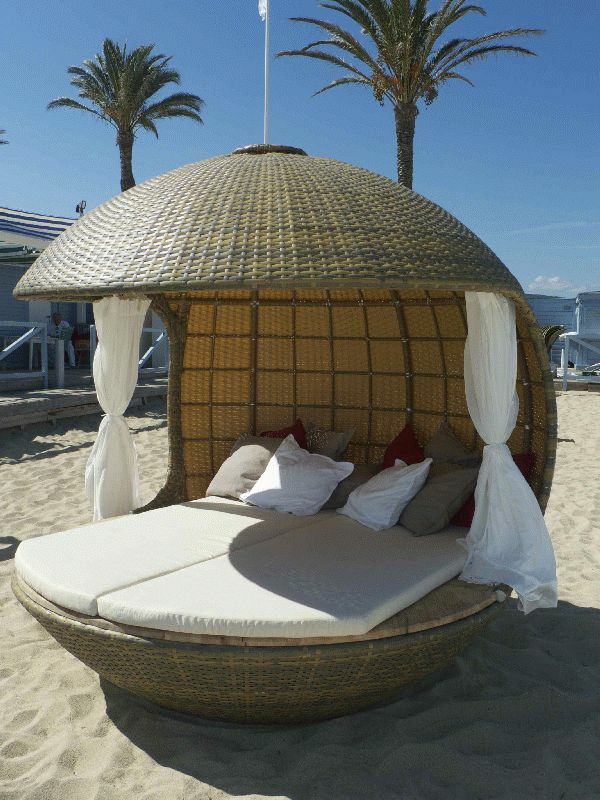 Installation costs estimate: Cocoon Tree Bed € 1.695,=, Cocoon Beach € 710,=. Travel-, and transportcosts depending on your location. Aluminium / Stainless steel, diameter 2,20 meters. 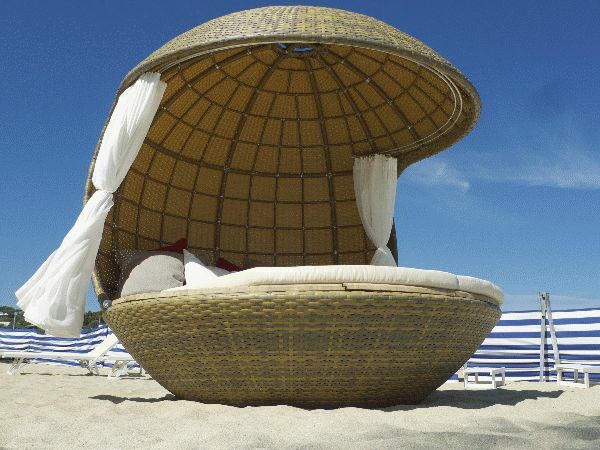 Two foam mattress covered with a Sunbrella water resistant fabric. Two light tulle curtains to close the Cocoon Beach and two curtains for complete privacy. The aluminium frame is guaranteed for 5 years subject to adequate installation and normal use.